If you are in the restaurant industry, it can be difficult to create a new website. However, there is a line where you need to redesign, especially if your site does not serve your customers well. Some restaurant websites do not tell the right story. They are also not useful for users. They may offer delicious food, but they cannot deliver the best user experience that their customers want. You may redesign your website, but you must do it well. To help you on your path to success, you will need a partner to design your site. Here are some trends that you might want to consider. Remember that your customer only cares about what menu is available to them. Thus, make sure to change your site that works at a local store. It has to be localized for everything, from real-time waiting to online ordering and others. They must also support the idea of localization. You need to create a site that offers an “in-the-moment” experience. It means that when a user moves from a social account to your site, the connection must remain. With a nimble design, your site changes its content and context to meet the needs of your customers. Your online menu should not be the same as how your customers interact with it while dining at your restaurant. It must offer more flexibility. That is, suggest menu items wherever possible, instead of making your customers hunt for them. For example, you may use a tool that allows your online visitors to enter certain criteria and it would return some suggested items. Your website can help your restaurant marketing effort on a different level. It can strengthen your brand story so as to compete effectively with the big boys. Your business may not be the largest in the world, but you can put your site up against any restaurant. It is not enough to have a great design. If it is not useful to your customers, then it is worthless. Your website must have the best of both worlds. It is the best way to make sure that your restaurant customers will have the right experience while visiting your site. It can surely elevate your brand online. 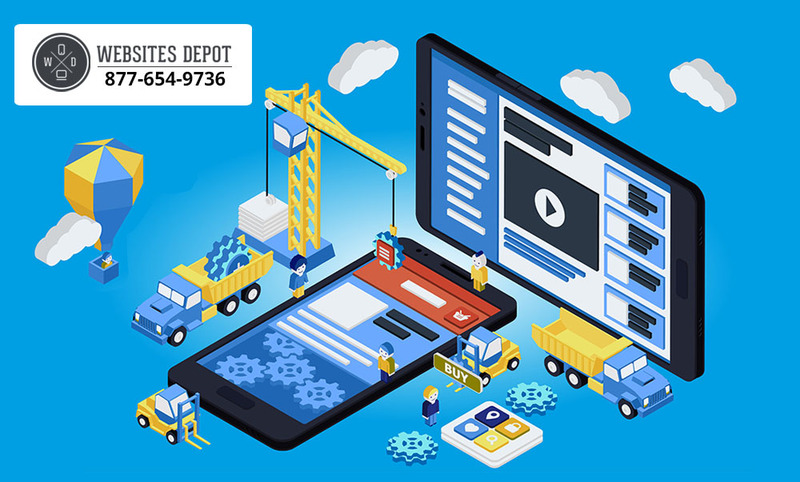 By partnering with Websites Depot, you can have a website that follows these trends. For an initial consultation, please call 877-654-9736.